When getting started with Class Charts, it's likely that you'll want to find out if staff members are able to access their accounts. 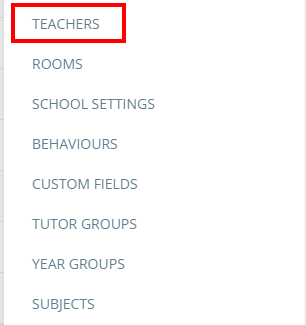 To check if staff members are able to access Class Charts, click on the three lines menu in the top right hand corner of the page and select Teachers from the list of available options. You will be presented with a list of all the staff members in your school that have been added to Class Charts. If a staff member has a tick symbol next to their name, they have been able to successfully log into their Class Charts account. If there is no tick symbol present then they have not yet accessed their Class Charts account.